After facing virtually no competition for months after releasing the iPad, Apple’s dominant market share faces a challenge as consumers consider purchasing tablets that could be viable iPad alternatives. Competition is always good, and tablets with Google’s Android OS could have a strong impact on the tablet market, said Jack Gold, principal analyst at J. Gold Associates. “Android tablets within a year or year and a half could outsell the iPad. The market will be inundated with them,” Gold said. The iPad started shipping in April and became an instant hit, and Apple reported selling more than 7 million iPads by the end of September. But companies such as Samsung and Toshiba are knocking on the door, and will soon release Android tablets that include features the iPad doesn’t have. 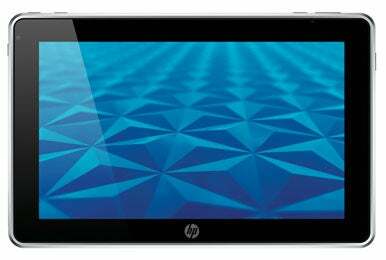 HP’s Slate 500 is among the newly released tablets looking to challenge the iPad. Research In Motion and Hewlett-Packard have also joined the battle, announcing tablets running their OSes. RIM’s PlayBook will be out next year and run an OS it got through the acquisition of QNX. 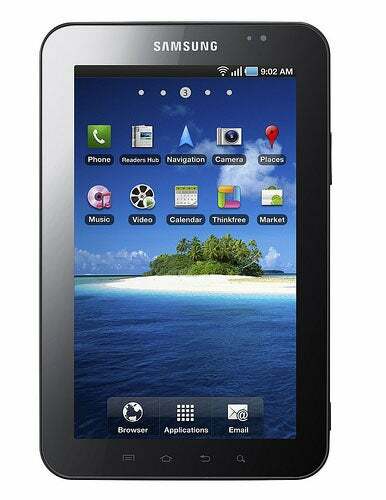 HP plans to release a tablet next year based on the WebOS mobile platform it acquired from Palm. Apple’s iPad has also gained traction in businesses, and HP last month started shipping the Slate 500 business tablet, which runs on Microsoft’s Windows 7 OS, and is priced at $800. Immediate competition for Apple will come from Samsung, which will soon ship its Android-based Galaxy Tab. In the U.S., the Tab is priced at $399 through T-Mobile and Sprint with two-year contracts and at $599 through Verizon without a contract. The tablet has a 7-inch screen, compared to iPad’s 9.7-inch screen, and is capable of playing 1080p video, while the iPad is capable of 720p. The Tab also has two cameras, a 1.3-megapixel camera in the front and a 3-megapixel camera in the back. The Tab provides eight hours of battery life, which is less than the iPad, which has a battery life that’s been measured at around 10 hours. But Apple says it is ready for the competition. CEO Steve Jobs declared iPad competitors “dead on arrival”. Seven-inch screens aren’t big enough and companies will ultimately increase screen sizes, he also said. But Galaxy Tab’s seven-inch screen is the “optimal size,” said Paul Ong, director of e-broking at investment firm OSK Group in Kuala Lumpur, who wants to buy the tablet. Ong needs to see stock prices on the go, and the smaller screen makes the device easier to carry, Ong said. The Tab’s inclusion of cameras and its lighter weight are also big pluses when compared to the iPad, Ong said. The tablet weighs 380 grams (0.8 pounds), compared to iPad’s 680 grams. Letts and his firm rely heavily on Macs, but he is considering buying a Tab. Beyond Google Apps integration, support for Flash is really important, Letts said. “Without these [considerations] I would have gone for iPad,” Letts said. For Letts, Tab’s screen size is small, but it won’t affect his buying decision. Some other potential buyers agree with Letts, and are holding off to see how the market develops before buying a tablet. Joel Morales, a software engineer from Fabens, Texas, held off on buying an iPad because he wanted features such as USB ports and Flash. He also believes the Tab’s seven-inch screen is small, so he is willing to wait for tablets with larger screens. He’s waiting to see if HTC delivers an Android tablet with a larger screen. David Milman, CEO of computer repair firm Rescuecom, said it’s too early to buy a tablet, and prices of devices are high. But tablet usability has been figured out by Apple, and he might wait for the next-generation iPad. “While I have not yet identified a tablet that will meet my personal needs I anticipate wonderful possibilities from iPad 2.0 and others,” Milman said. “What you’re going to see is ubiquitous availability of Android-type products across the board,” Daoud said. Last week, Google announced its application store was hosting 100,000 applications. But Apple holds a significant advantage, with 250,000 applications. The onslaught of Android tablets notwithstanding, Apple’s iPad will remain best of the breed, Daoud said. A committed user base will help iPad shipments continue to grow at fast rates, though its market share will drop by virtue of the larger number of tablets shipping, Daoud said.